In 2006, Lucas de Staël, designer, started Undostrial before launching his eponymous brand in 2012. The workshop then set up in an old printing factory located in the 19th precinct of Paris, turning this new location into an experimental laboratory, genuine hub for creation and production. Our goal is to transform matter into art, to experiment without restraints, in order to materialize the wildest dreams into reality. 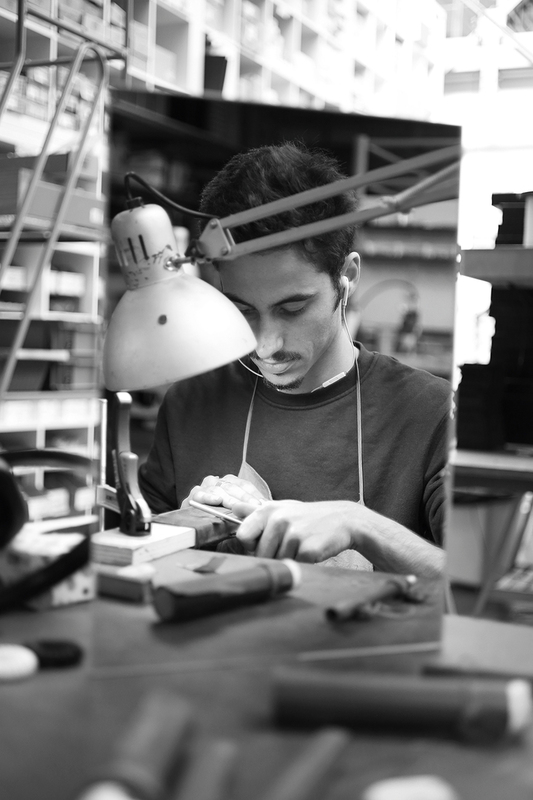 The designers, jewelers and artists are able to develop their own tools and methods in order to put out elegant and delicate eyewear frames. from a constant will to blend traditional crafting with unexpected materials.
" I called my first company Undostrial, because I wanted to explore another way of doing things, to create things differently, in an "un-industrial" way "
By combining traditional French know-how with an innovative mindset, the workshop is perpetually redefining, by-passing and pushing the limits and rules of eyewear manufacturing. Thanks to a multidisciplinary approach, prototypes and patented processes are developed before the actual production can be started. The mineral, vegetal and animal are reinterpreted and magnified within the workshop. Every single spectacle is structured around high quality surgical stainless steel, covered with a thin layer of titanium. An average of thirty steps is required to produce one frame. Each of the skilled workers can produce three frames a day.
" I had the chance to visit the traditional French eyewear factories in the Jura and the production process appeared to be very complex to me. I wanted to do something simpler, achieve a purest form of eyewear "
Entreprise du Patrimoine Vivant Label 2017 : official label granting French knowhow, excellence and craftsmanship. "Fabriqué à Paris" Label 2017 : Receiving an official label from the City of Paris granting Parisian knowhow and craftsmanship. 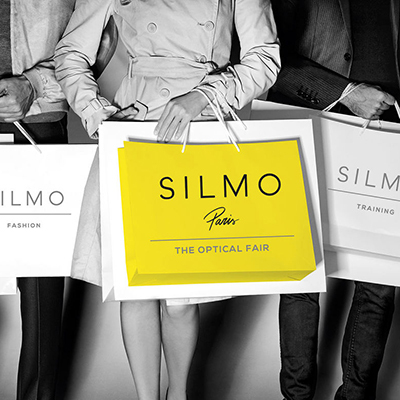 "Fabriqué à Paris" 2017 Label 2017 : 1st price for "Activité de Production"
SILMO D'Or 2016 : Nomination for sunglasses eyewear. 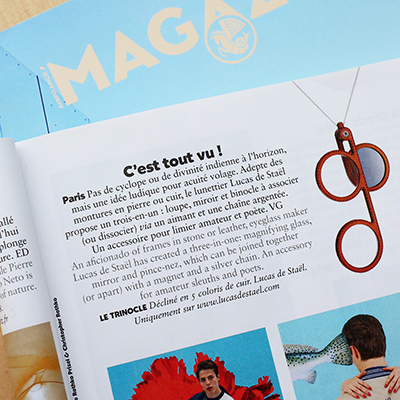 SILMO D'Or 2014 : Optical eyewear design award (Stratus frame). SILMO D'Or 2013 : Nomination for sunglasses eyewear. SILMO D'Or 2012 : Optical eyewear design award (Once Upon A Time Walnut frame).